ProActive Kids teaches kids and their families fun ways to improve health through Exercise, Nutritional Lessons, and Open Discussion over 8 weeks. This life-changing experience is oﬀered FREE to kids ages 8-14 who want to learn new exercises, lose weight, eat right and be more conﬁdent. (BMI must be in 85th percentile or above to participate). For more information and to enroll, please go to: www.proactivekids.org. 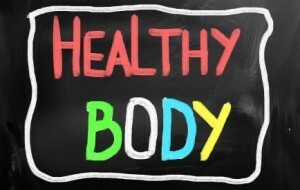 Between media messages (including social media) and commercials that distort ideas of acceptable body images, glorify junk food and fast food and hype crazy fad diets that are all too accessible for impressionable teens, it’s vital for parents to take extra steps to ensure their teen maintains healthy eating habits that can make it easy to maintain a healthy weight and good health for life. The following are some important steps to healthy eating for teens. Many teens skip breakfast, but it’s not a good idea because breakfast helps teens (and everyone else in the household for that matter), with doing well in school through its impact on brain function, concentration and energy, and it helps with maintaining a healthy weight. An ideal healthy breakfast includes high quality protein like smoothies with whey protein, eggs (more egg white in proportion to whole eggs to balance cholesterol if they have them frequently) which can be made to go in a whole wheat pita, tortilla or English Muffin, turkey bacon (nitrate free if possible) or a quality energy bar like Quest Nutrition bars made from whey protein. Many of the weight loss coaching clients I work with today who struggle with weight issues can trace the messages of “clean your plate” drilled into them as a child, and often with the addition of “don’t you know there are children starving in the world” to magnify the guilt of leaving the table without finishing everything. While you want your kids to have sufficient nutrition, it’s really beneficial to help them develop the good habit of using their own body cues to tell them when they have had enough food. This is another common thing I have to work on with my coaching clients who have weight challenges that’s been ingrained since they were very little who often refer to themselves as “being bad” or “being good” when they consume certain foods. When a food is dubbed as “bad” teens can end up with guilty feelings about it which could lead to eating disorders. It also can become more desirable as something forbidden or rebellious and can foster cravings that lead to overindulgence or even bingeing that would not be the case if the food was not given special status. Healthy Lombard Partner and Certified Health and Wellness Coach Melanie Jordan specializes in helping others get back to their dream weight for good without gimmicks or deprivation. Weight Loss Coach Melanie really “gets” those who are challenged with losing and maintaining their weight as she has successfully overcome her own weight struggles and kept off 48 pounds. Melanie is also an ACE Certified Group Exercise Instructor and Silver Sneakers FLEX Instructor specializing in Senior Fitness (Zumba Gold® Licensed, Ageless Grace® Certified Educator and Silver Sneakers® Classic Exercise and Circuit Training Certified). In recognition of Every Kid Healthy Week, the DuPage County Health Department is offering some ideas on how schools can take small steps to make big changes when it comes to the health of their students. Every Kid Healthy Week™ is an effort created by Action for Healthy Kids®, a non-profit organization that fights childhood obesity, undernourishment and physical inactivity by helping schools become healthier places so kids can live healthier lives. During this national observance and throughout the month of April, schools across the country are encouraged to host events that will make sustainable changes that encourage students to eat better and be active every day. FORWARD, a county-wide, public-private partnership of the DuPage County Health Department, that is also working to fight obesity, offers resources for schools working to make healthy changes. For more information or to access our resources, visit www.forwarddupage.org. Schools already participating in Every Kid Healthy Week are encouraged to share their planned events by registering the event on the Every Kid Healthy Calendar by going to, https://www.surveymonkey.com/s/2014EKHWeek. How Much Screen Time for Kids? As most parents know by now, the experts say we should limit our kids’ screen time or risk raising socially stunted couch potatoes. Last fall, the American Academy of Pediatrics released updated guidelines for children and adolescents using media, recommending no more than two hours per day of any type of entertainment screen time for kids ages 3 to 18 and none for children 2 or younger. The guidelines cover media such as Internet and texting as well as TV, movies and video games. As a science writer, I wondered how the AAP decided on that limit, which seems arbitrary and simplistic. As a mother raising a 3-year-old and a 6-year-old in a house full of glowing screens, I wondered, how would I ever enforce it? Victor Strasburger, a professor of pediatrics at the University of New Mexico in Albuquerque and an AAP spokesman, explained that the two-hour cutoff comes from several large studies that have followed the television-watching habits and health of children over decades. http://healthylombard.com/wp-content/uploads/2016/08/hl-logo.png 0 0 may http://healthylombard.com/wp-content/uploads/2016/08/hl-logo.png may2014-04-13 11:19:232014-04-13 11:19:23How Much Screen Time for Kids? FORWARD shared that if you need ideas on how to educate people about the harmful effects of sugary beverages, the Illinois Alliance to Prevent Obesity has created the “Rethink Your Drink” Toolkit with lots of ideas and activities for both kids and adults. According to the science of yoga, we can compare our bodies to vehicles that we use to travel the path of life. The food we eat is like the fuel we put in the gas tank—the better the fuel, the better the vehicle performs. What we eat has a huge impact not only on our physical well-being, but also on our mental and our spiritual well-being. So our diet is a vital component of the yoga lifestyle. The ancient yoga texts describe the foods that benefit our physical health and stamina, our mental clarity, and our spiritual well-being, as sweet, juicy, palatable, and easy to digest. They include fruits and vegetables, milk products, sugar and honey, grains, and nuts and seeds, as well as beans and other legumes. Research confirms that a diet centered on the foods that comprise the yoga diet can help prevent obesity and diseases such as high blood pressure, type 2 diabetes, cardiovascular disease, cancer, and arthritis and reduce LDL cholesterol levels. These foods also help maintain a healthy body weight, boost our immunity, and may even slow the aging process. These foods and the countless delicious preparations made from them form the basis of the yoga diet. Because of their inherent qualities of goodness and natural health-giving properties, they are ideal for anyone wanting to live a healthier, happier life. ON February 26, 2014, Mike Stobbe, Associated Press wrote: Toddler obesity shrank sharply in the past decade, a new study suggests. While promising, it’s not proof that the nation has turned a corner in the battle against childhood obesity, some experts say. The finding comes from a government study considered a gold-standard gauge of trends in the public’s health. 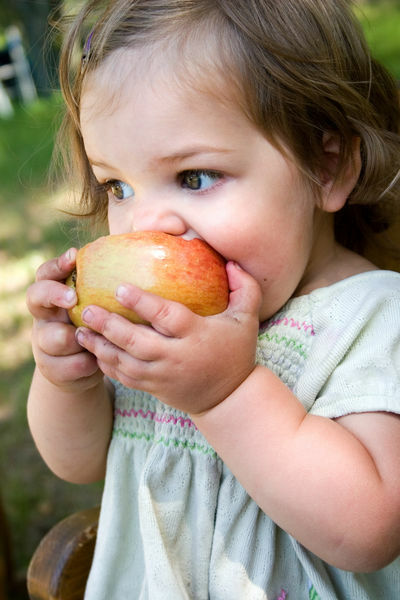 The researchers found that obesity among children ages 2 to 5 decreased — to 8 percent, from 14 percent a decade ago. That would represent a 43 percent drop. The Shaklee Corporation in its Health and Wellness Update has published several great article about how to keep your heath healthy. The one below caught my eye and I thought it would a good article to share. 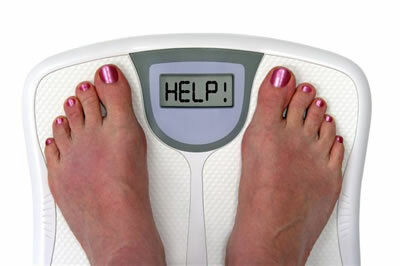 Weight Is a Heart Issue – What is being overweight? 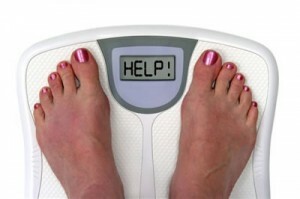 Obesity itself is not what causes the harm; it is the diseases that are associated with obesity that cause the harm. The costs of these diseases and syndromes are enormous, and that doesn’t even begin to calculate the personal, physical, and emotional problems associated with increased BMI. More than one-third of adults in the U.S. are considered overweight and another one-third are obese. The medical costs associated with obesity are estimated at over $150 billion dollars. 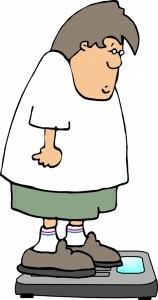 Obese people cost an average of $1,429 more in medical services per year than someone who is normal weight. A new study just published in the March issue of Pediatrics says that half the time parents are turning a blind eye to childhood obesity–they simply don’t see, or want to see, that their child is severely overweight, and consider him/her to be normal weight. The review of 16,000 children ages 2-18 across 69 studies also shared that parents of children aged 2-5 were more likely to underestimate the weight of children who are overweight in elementary school or beyond. So why the disconnect regarding childhood obesity? Some parents think kids just have baby fat, or that they’ll grow out of it. In addition, parents that have have not yet faced up to their own weight problems are going to be less likely to see their kids as having one. Currently, according to the CDC (Centers for Disease Control and Prevention), one-third of children are overweight or obese, and this puts them at risk for all the health problems that impact overweight adults–Type 2 diabetes, high blood pressure and cholesterol, sleep apnea and more–but at a much earlier age. So how does a parent know if their kid is overweight or obese? Numbers don’t lie. 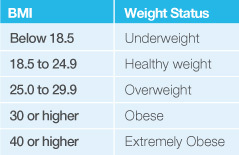 A child who is in the 85th – 95th percentile of a BMI chart is overweight, and above that, they are considered obese. While there are deficiencies in BMI charts, it’s usually only thrown off by a very athletic child with lots of muscle mass, and that’s an obvious exception. The lesson here is to be honest about your child’s weight situation and work with your medical professional to help him/her healthfully lose the weight so they can grow up to be healthy adults without health issues. The time to act is now, as another study recently documented that children who are overweight in kindergarten, are four times more likely to be obese by the time they hit 8th grade. Healthy Lombard Partner and Certified Health and Wellness Coach Melanie Jordan specializes in helping others get back to their dream weight for good without gimmicks or deprivation. Weight Loss Coach Melanie really “gets” those who are challenged with losing and maintaining their weight as she has successfully overcome her own weight struggles and kept off 48 pounds. Melanie is also an ACE Certified Group Exercise Instructor and Silver Sneakers FLEX Instructor specializing in Senior Fitness (Zumba Gold® Licensed with Ageless Grace® and Silver Sneakers® Strength Training Certifications pending).